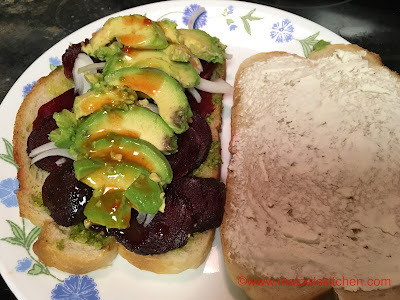 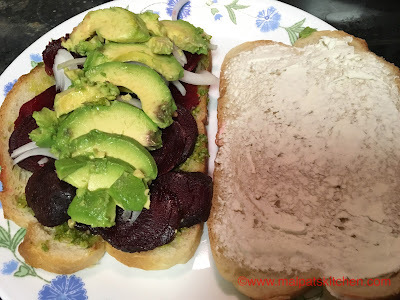 Avocado............is rich in mono-unsaturated fats, and this quality makes its texture creamy and smooth. It contains lot of fiber, vitamins and minerals, reduces cardiovascular diseases, helps weight loss, reduces symptoms of arthritis, contains more potassium than banana, protects eye sight and protects liver from all kinds of diseases. 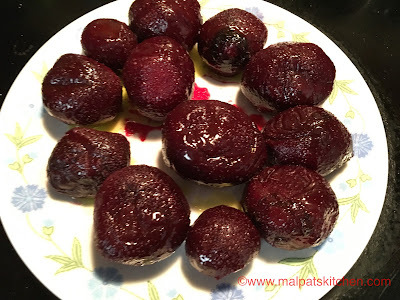 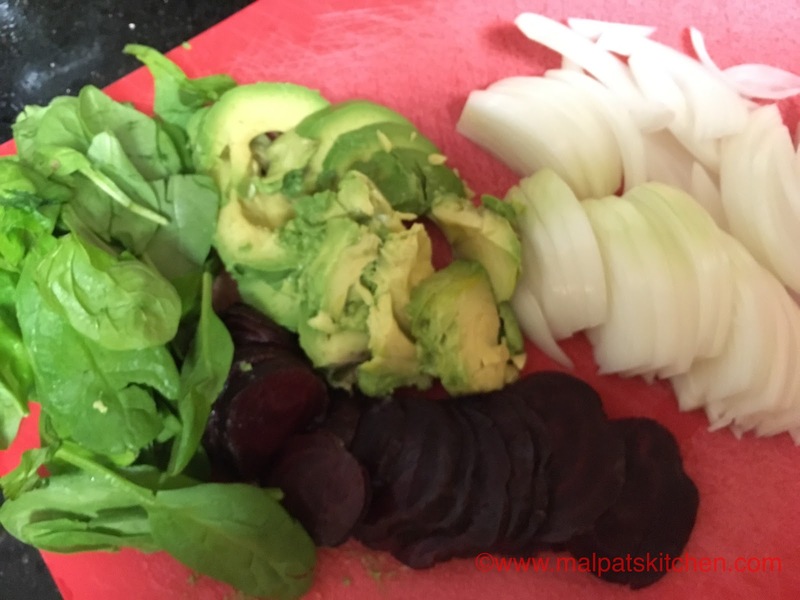 Beets................reduce dementia risk, combat constipation, boost eye health, lower heart disease and fight cancer. 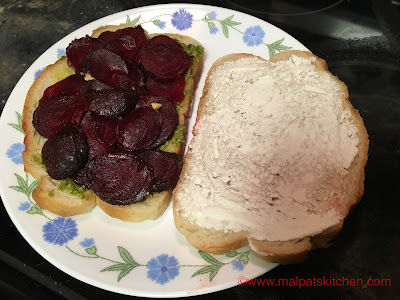 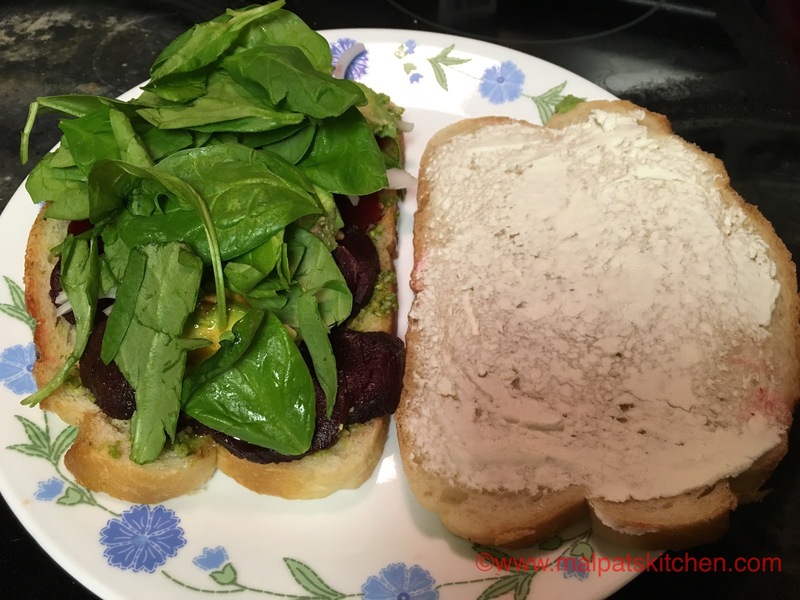 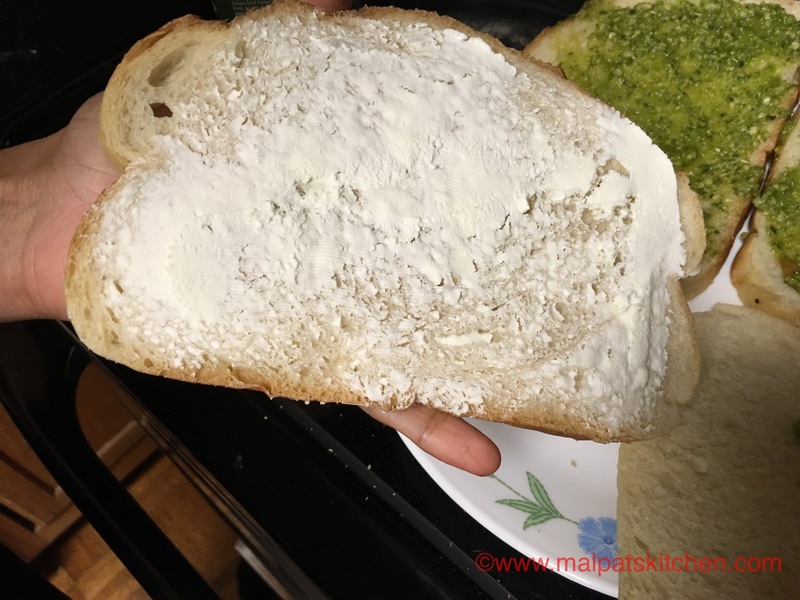 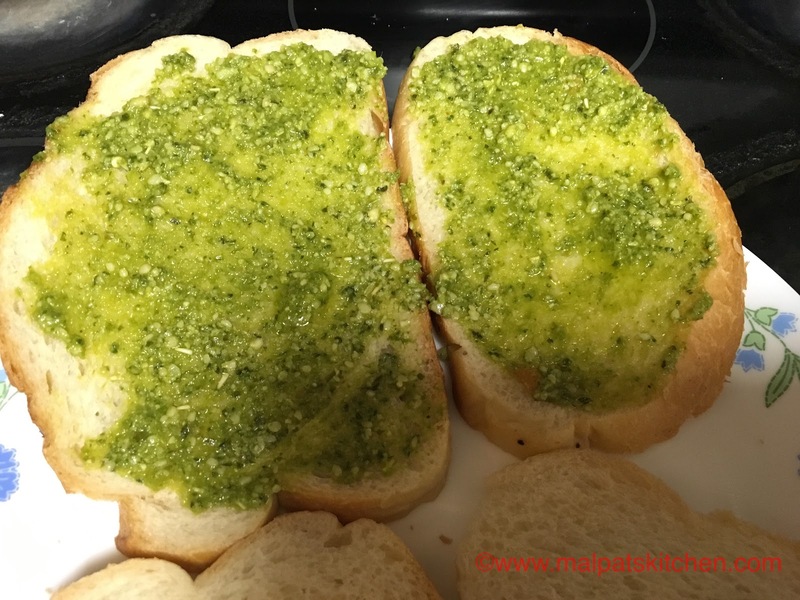 Spread the basil pesto on one side of the panini. I am showing you the making of 2 at a time. Here are they!!! 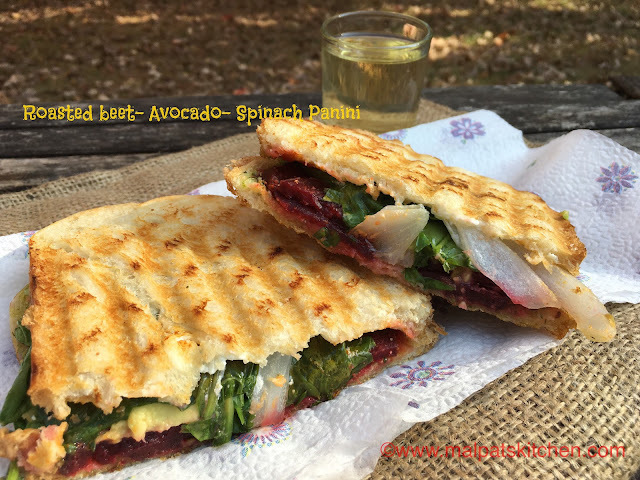 Just imagine, by eating a single panini, how many veggies go into our tummies.....isn't it wonderful??? Serve hot & healthy panini with a small dose of Ginger ale and enjoy!!! 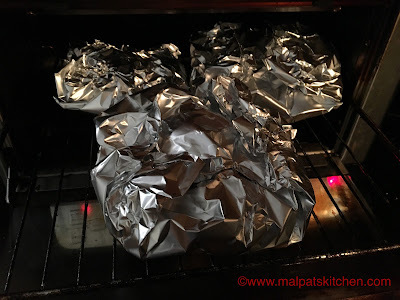 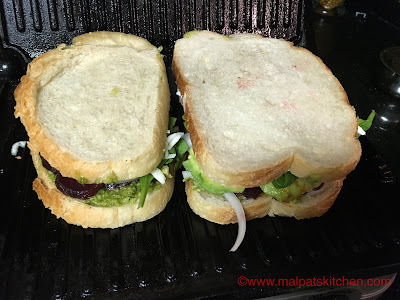 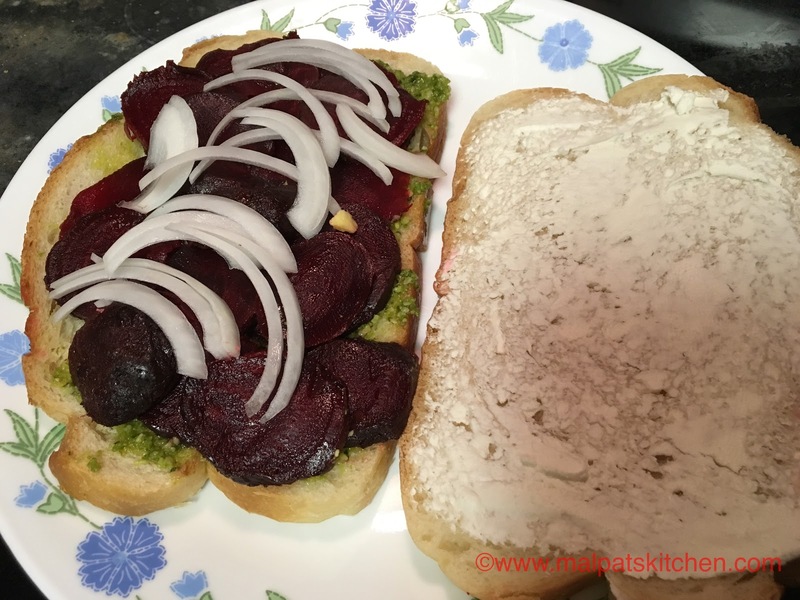 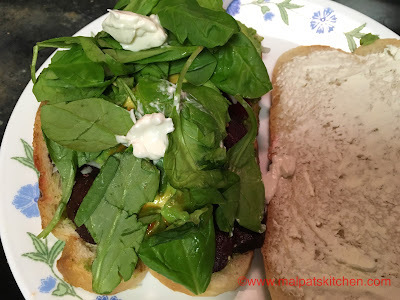 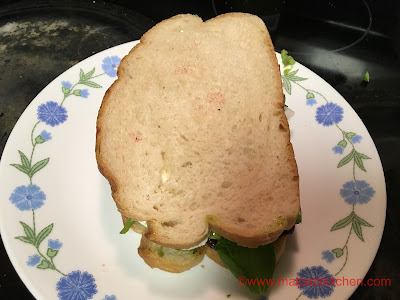 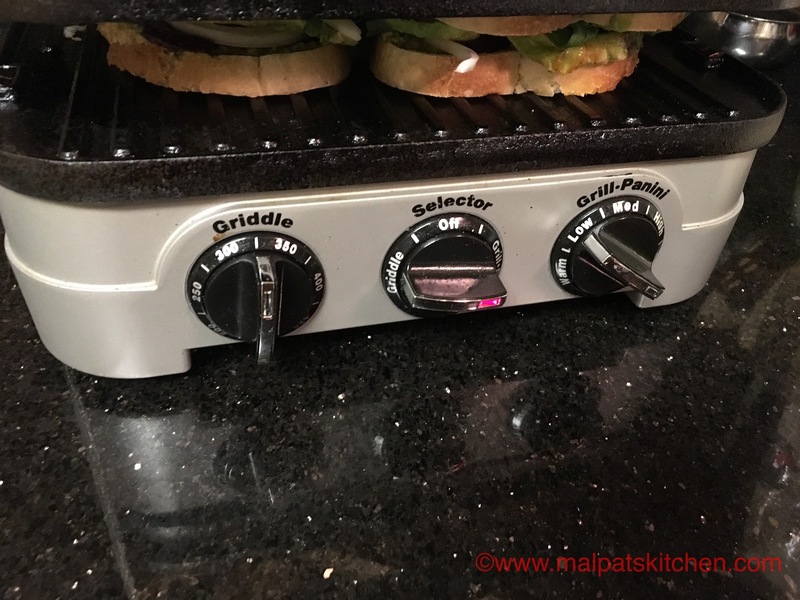 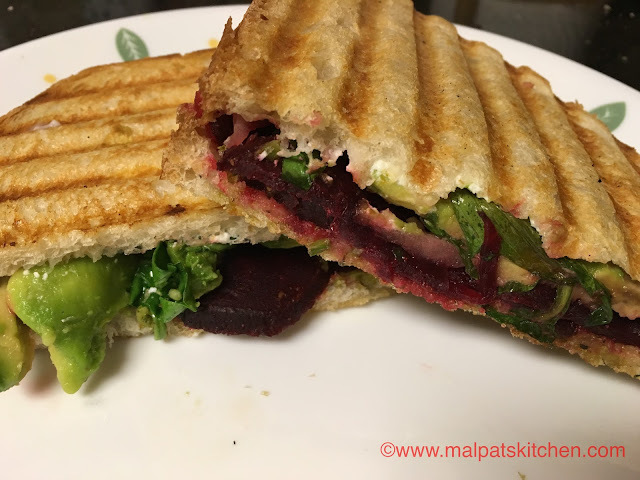 * If you do not have a panini press, you can make them in electric sandwich makers, or on a tava, where you keep the paninis pressed with something heavy. *sprinkle some red chilli flakes, if you want your paninis to be spicier.